There is an unconditional payment bond for the project but it was not recorded with the Notice of Commencement. Now there are subcontractor construction liens recorded against the property. What do I do? I thought the point of the payment bond was to exempt the real property from subcontractor and supplier liens. 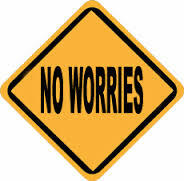 No need to worry! Liens can be transferred to the payment bond even though the payment bond was not recorded with the Notice of Commencement. The payment bond operates to “secure every lien under the direct contract accruing subsequent to its execution and delivery.” Fla.Stat. s. 713.23(2). Even though the payment bond was not recorded with the Notice of Commencement as required, the owner or contractor can record a Notice of Bond with a copy of the payment bond that will operate to transfer the lien to the security of the payment bond. [I]f a payment bond under s. 713.23 exists but was not attached at the time of recordation of the notice of commencement, the bond may be used to transfer any recorded lien of a lienor except that of the contractor by the recordation and service of a notice of bond pursuant to s. 713.23(2). The notice requirements of s. 713.23 apply to any claim against the bond; however, the time limits for serving any required notices shall, at the option of the lienor, be calculated from the dates specified in s. 713.23 or the date the notice of bond is served on the lienor. Stated differently, just because the payment bond was not recorded with the Notice of Commencement does not mean the payment bond is worthless. 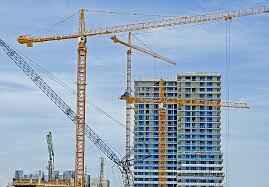 Rather, it can still be used to transfer construction liens to the security of the bond. Further, if discovered early enough, and within the effective period of the Notice of Commencement, an Amended Notice of Commencement can be recorded which attaches a copy of the payment bond. The Amended Notice of Commencement needs to be served by the owner “upon the contractor and each lienor who serves notice before or within 30 days after the date the amended notice is recorded.” Fla.Stat. s. 713.13(5)(b). But, the Amended Notice of Commencement can be used to clarify the omission of the payment bond in the original Notice of Commencement. Contractors, subcontractors, and suppliers need to appreciate the importance of an EFFECTIVE Notice of Commencement. This recorded document, among other things, governs the priority of YOUR lien rights on a private construction project because a construction lien RELATES BACK in time to an effective Notice of Commencement. The Notice of Commencement is recorded in the public records where the project is located. It is a statutory form (per Florida Statute s. 713.13) and gives the lienor the required information about the project so that the lienor can preserve its lien / bond rights. A copy of the Notice of Commencement form is included at the bottom of this posting. The Notice of Commencement must be recorded within 90 days of construction otherwise the Notice is invalid. The Notice of Commencement is effective for 1 year unless a different expiration date is specified. If a project is going to last longer than a year, a more realistic expiration date should be specified. However, the Notice of Commencement can be amended at any time within its effective period to extend the expiration date. The amended Notice of Commencement should reflect that it is amending the original Notice of Commencement that is recorded (and specify the book and page of the recording) and a copy must be served by the owner on the contractor and any other lienor that served a Notice to Owner to preserve its lien rights “before or within 30 days after the date the amended notice is recorded.” Fla. Stat. s. 713.13(5)(b). Construction loan recorded on 1/1/09. Notice of Commencement recorded on 5/1/09. It is only effective for 1 year and an amended Notice was never recorded. On 6/15/10 a mortgage is recorded on a condominium unit. When this is recorded, the unit owner’s mortgagee secures a release from the construction lender relating to the lender’s mortgage relating to the unit. On 7/1/10 a construction lien is recorded. Under this factual pattern, the lienor that recorded a lien would absolutely want its lien to take priority over the unit owner’s mortgage. The lienor will argue it takes priority since the lien should relate back to the Notice of Commencement that was recorded prior to the mortgage on the unit. But, wait. The Notice of Commencement expired before the lien was recorded and an amended Notice of Commencement was never recorded. This means the lien takes priority as of the date it is recorded and, thus, the mortgage on the condominium unit takes priority. Now, let’s add another realistic wrinkle to this fact pattern. Let’s say the Declaration of Condominium (the instrument creating the condominium) is recorded on 6/1/10, before the lien is recorded. The Declaration of Condominium would need to be recorded before mortgages are recorded on individual units. 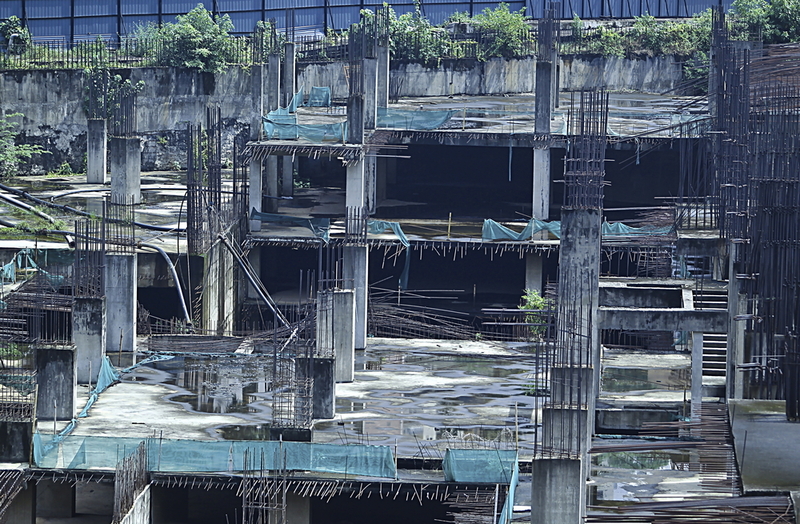 For the construction of a new condominium, the lien would apply to the ENTIRE condominium property provided the lien relates back to the Notice of Commencement. This is because the lien would take priority before the Declaration of Condominium was even recorded. 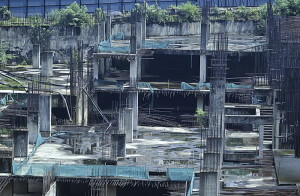 But, if the Notice of Commencement expired, then the Declaration of Condominium would take priority over the lien since the Declaration of Condominium would have been recorded first (since the lien would not relate back to the Notice of Commencement). This means that the lien would not apply to the entire condominium property, but would more equitably apply to each unit based on the unit’s pro rata share of the common expenses. See Fla. Stat. 718.121. In other words, if the lien is $100,000 and there are 100 units each responsible for 1% of the condominium association’s budget, each unit would be responsible for the principal amount of $1,000 in order to discharge the lien relating to the unit. And, mortgages on the individual units may take priority over the lien potentially nullifying the value of the lien based on the equity in the units. Notably, even if a lien relates back to the Notice of Commencement and takes priority over the Declaration of Condominium, a court may still find the equitable result is that each unit is only liable for its pro rata share of common expenses. See Southern Colonial Mortgage Co., Inc. v. Medeiros, 347 So.2d 736 (Fla. 4th DCA 1977). However, this equitable approach should arguably not apply because the lien would attach to the entire condominium property and the lienor should be entitled to foreclose that property including all units since the lien would have priority over any mortgage and deed associated with those units. At this point, the unit owner should look to its title insurance policy. Make sure the Notice of Commencement is recorded within 90 days from the start of construction. If not, there will be a strong argument that the Notice is not valid. This means that a lien would not be able to relate back to the Notice. Make sure the lien is recorded within an effective Notice of Commencement. If not, the lien will not relate back to the Notice, but will take priority as of the date it is recorded. This is a big difference. If the Notice of Commencement is on the verge of expiring, prepare and send a letter to the owner advising the owner that it needs to record an amended Notice of Commencement to ensure the parties are performing construction within an effective Notice of Commencement. Understand the potential priority of your lien based on the recording of the Notice of Commencement, any amended Notice of Commencement, the Declaration of Condominium, and other recordings that may impact the priority of your lien if the Notice of Commencement expired. 1. Description of property: (legal description of the property, and street address if available). 2. General description of improvement: __________. a. Name and address: __________. b. Interest in property: __________. c. Name and address of fee simple titleholder (if different from Owner listed above): __________. 4. a. Contractor: (name and address) . b. Contractor’s phone number: _____. 6. a. Lender: (name and address) . b. Lender’s phone number: _____. b. Phone numbers of designated persons: __________. 8. a. In addition to himself or herself, Owner designates __________ of __________ to receive a copy of the Lienor’s Notice as provided in Section 713.13(1)(b), Florida Statutes. b. Phone number of person or entity designated by owner: _____. 9. Expiration date of notice of commencement (the expiration date will be 1 year from the date of recording unless a different date is specified) _____.